Life is full of stories. Every day is a story in itself. While they are usually recounted verbally, some are written so that they might be preserved and remembered even after several years. There are short stories and there are long stories; all of which can be compiled into a book. A book is a collection of literary works or compositions that are written, printed, and illustrated on sheets that are made of paper which are fastened together at one side. It is composed of several pages or leaflets. It is also referred to as a monograph. The word “book” comes from the Old English “boc,” from the Germanic root “bok,” which is associated with the word “beech,” a type of wood. Also, it may have come from the Latin word “codex” which meant “block of wood” and is now used to refer to a book. There are several types of books. Examples are: diaries, biographies, catalogs, coloring books, hardcover books, paperback, educational books, cookbooks, anthologies, fictional books, comic books, short story collections, and novels. A novel is a type of book that is written in narrative form. It is fictional and constructed in such a way that it resembles reality. It enables writers to depict the social, political, and personal truths about a place or time which are otherwise avoided. The story in a novel revolves around a plot, its characters, and its subject matter or theme. It is written with a minimum of 50,000 words making it long enough that it will entail several hours to finish. The story is described in such a way that makes it very compelling. It provides an intimate reading experience with love and romance as the most common subject. A novel can also be suspenseful or action packed, but more often than not it contains romance and relationships that are also present in real-life stories. 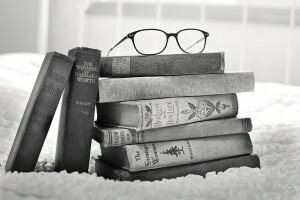 The word “novel” comes from the Latin word “novella” which means “new things” which was adapted in the French word “nouvelle” and the Italian word “novella” which means “short story.” It was first used in the English language in the 1560s. Books are usually printed and bound with covers that are made of wood and leather. Today, books can be read electronically through the Internet. These are called e-books or electronic books. 1.A book is a collection of written or printed literary compositions on sheets of paper that are bound together while a novel is a type of book which is fictional and in narrative form. 2.A book can be of several different types, one of which is the novel. 3.A novel is written in such a way that provides a long and intimate reading experience oftentimes exceeding 50,000 words while most other types of books do not have this requirement. 4.The story in a novel is about a plot, characters, and a theme that depicts the social, political, and personal realities of a place or time while a book may not be a story but a compilation of other literary works. Emelda M. "Difference Between Novel and Book." DifferenceBetween.net. September 14, 2016 < http://www.differencebetween.net/language/words-language/difference-between-novel-and-book/ >.